GIS-pax is a small and highly experienced E&P GIS software company. They have extensive experience in petroleum exploration and GIS software development. They combine these skills to deliver quality GIS software products for oil and gas explorers. Player is a comprehensive play based analysis GIS application for exploration geologists. It allows you to rapidly integrate your available data into a coherent interpretation of the most prospective play segments and where the greatest value from additional information is gained. The Intergovernmental Panel on Climate Change (IPCC) published a Special Report on Carbon Dioxide Capture and Storage in November 2005. In November 2007, the IPCC and its authors, received the Nobel Peace Prize jointly with Al Gore. Dr John Bradshaw, CEO of CGSS was a Lead Author of the IPCC Special Publication and shared in the prize with his co-authors from the IPCC. The Carbon Sequestration Leadership Forum is an international climate change initiative that is focused on development of improved cost-effective technologies for the separation and capture of carbon dioxide for its transport and long-term safe storage. Geoscience Australia is the Australian Government's national geological survey and plays a critical role by producing first-class geoscientific information and knowledge. CGSS maintains a strong working relationship with GA. The Department of Industry provides policy advice to its Ministers and administers legislation, manages programs, undertakes analysis, provides services to the business community, and provides advice to the Government. Department of Industry and its predecessor (DRET) have been working closely with other government departments and Geoscience Australia to produce legislation for geological storage of carbon dioxide in sedimentary basins in offshore commonwealth waters. 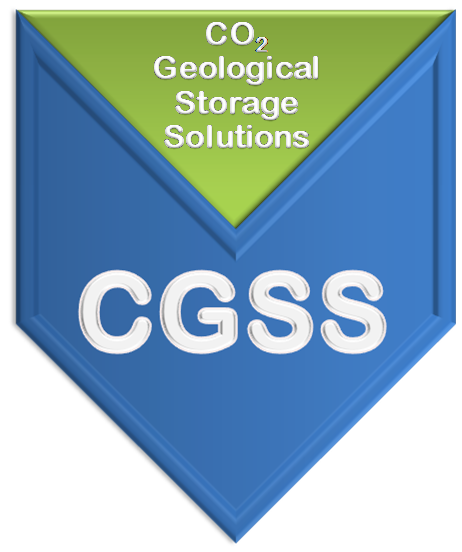 CGSS staff, through their previous roles at Geoscience Australia, have been closely involved with both the acreage assessment for storage sites and the Greenhouse Gas Storage legislation. Professor Ian Chubb was appointed to the position of Chief Scientist on Tuesday 19 April 2011. Professor Chubb has had a distinguished career in higher education and research and recently retired after a decade as vice-chancellor of the Australian National University. A neuroscientist by training, he has co-authored some 70 full papers and co-edited one book all related to his research. He later took on leadership roles in university administration and sector advocacy bodies. The Chief Scientist for Australia provides high-level independent advice to the Prime Minister and other Ministers on matters relating to science, technology and innovation. They also hold the position of Executive Officer of the Prime Minister’s Science, Engineering and Innovation Council, leading foresighting activities to identify long-term challenges and opportunities for Australia that can be addressed, in part, through science. The United Kingdom Carbon Capture and Storage Association exists to represent the interests of its members in promoting the Business of Carbon Capture and Storage (CCS). The Association works to raise awareness, both in the UK and internationally, of the benefits of CCS as a viable climate change mitigation option, and the role of CCS in moving towards a low-carbon global economy. The IEA Greenhouse Gas R&D Programme (IEA GHG) is an international collaborative research programme set up under the auspices of the International Energy Agency. IEA GHG focuses its efforts on studying technologies to reduce greenhouse gas emissions. IEA GHG was established in 1991 and aims to provide its members with informed information on the role that technology can play in reducing greenhouse gas emissions. The IEA GHG is the guardian of the GHGT conference series which has become a focal point for international research on CO2 capture and storage. CGSS staff were involved in GHGT9 conference, held in Washington in November 2008, as members of the Programme Committee which planned the technical content of the meeting as well as convening sessions on geological storage. The Global Carbon Capture and Storage Institute (Global CCS Institute) is a bold new initiative aimed at accelerating the worldwide commercial deployment of at-scale CCS. Recognising the important contribution CCS can make in ameliorating climate change, the Australian Government has committed AUD$100 million annual funding for the Global CCS Institute. This will ensure the ongoing success of this independent authority on CCS. The Global CCS Institute will advise on the technologies that will capture, transport and store emissions, and provide expert insight on the costs and benefits of carbon solutions and the operational and legislative requirements needed to achieve success. The Academy was founded in 1954 by Australian Fellows of the Royal Society of London with the distinguished physicist Sir Mark Oliphant as founding President. It was granted a Royal Charter establishing the Academy as an independent body but with government endorsement. In August 2010 the Australian Academy of Science published The Science of Climate Change: Questions and Answers. Based on a series of key questions, this publication aims to address confusion created by contradictory information in the public domain. It sets out to explain the current situation in climate science, including where there is consensus in the scientific community and where uncertainties exist. The Science of Climate Change: Questions and Answers was prepared by a Working Group and Oversight Committee made up of Academy Fellows and other Australian scientists with internationally recognised expertise in climate science. 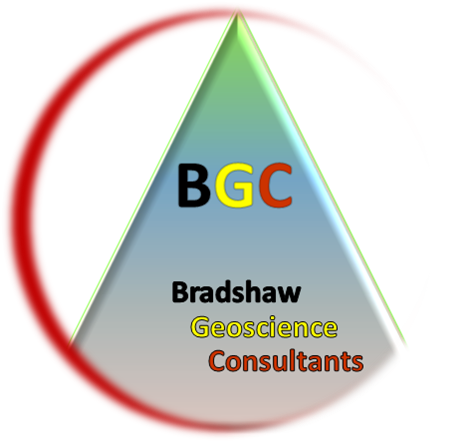 BGC and CGSS have links to numerous partners and clients, and through their staff and contractors also have relationships across many organisations and companies. Listed below are a selection of links to websites relevant to clients and partners of BGC and CGSS with brief descriptions of their operations.